"This engaging, subtle book uses many perspectives, historically and theoretically informed, to explore Irish domestic space. Two fine Vona Groarke poems frame the whole; five short spell-binding memoirs by writers and seven essays by leading scholars plot the course, as does Richman Kenneally’s excellent introduction on the spatial turn in Irish Studies. A beautiful “visual essay” illuminates the volume’s journey through Irish spaces from crowded to bare. Home: place of dream and longing, theatre of material aspiration and happy memory, locus of deep meaning, rooted in the earth, but also of confinement, hopelessness, and bitter struggle. The book never labours its points, but its creative disruption of given narratives in Irish Studies is not to be missed." This collection of short memoirs and critical essays explores the relation between home as metaphor and symbol, and home as a physical, material and spatial entity. In the first section, ‘Our house’, Colette Bryce, Eiléan Ní Chuilleanáin, Theo Dorgan, Mary Morrissy and Macdara Woods remember houses from their childhoods and show, in Ní Chuilleanáin’s words, how the house is a ‘way of understanding the world, its differences and boundaries’. In the second section, entitled ‘Their house’, Angela Bourke, Nicholas Grene, Adam Hanna, Howard Keeley, Lucy McDiarmid, Maureen O’Connor and Tony Tracy look at domestic sites as various as Maeve Brennan’s childhood home in Ranelagh and Synge’s stage spaces. An essay by Rhona Richman Kenneally serves as a conceptual introduction to the collection, and framing poems by Vona Groarke suggest a poet’s version of ‘How to read a building’. Received the History Book of the Year bronze award from Foreword Reviews’ 2016 INDIEFAB. At Home in the Revolution derives its material from women’s own accounts of the Easter Rising, interpreted broadly to include also the Howth gun-running and events that took place over the summer of 1916 in Ireland. These eye-witness narratives -- diaries, letters, memoirs, autobiographies, and official witness statements -- were written by nationalists and unionists, Catholics and Protestants, women who felt completely at home in the garrisons, cooking for the men and treating their wounds, and women who stayed at home during the Rising. The book’s focus is on the kind of episode usually ignored by traditional historians: cooking with bayonets, arguing with priests, resisting sexual harassment, soothing a female prostitute, doing sixteen-hand reels in Kilmainham Gaol, or disagreeing with Prime Minister Asquith about the effect of the Rising on Dublin’s architecture. The women’s ‘small behaviours’, to use Erving Goffman’s term, reveal social change in process, not the official history of manifestos and legislation, but the unofficial history of access to a door or a leap through a window; they show how issues of gender were negotiated in a time of revolution. On January 18, 1914, seven male poets gathered to eat a peacock. W. B. Yeats and Ezra Pound, the celebrities of the group, led four lesser-known poets to the Sussex manor house of the man they were honouring, Wilfrid Scawen Blunt, the poet, horse-breeder, Arabist, and anti-imperialist married to Byron's only granddaughter. In this story of the curious occasion that came to be known as the 'peacock dinner,' immortalized in the famous photograph of the poets standing in a row, Lucy McDiarmid writes a literary history derived from intimacies rather than 'isms.' The dinner evolved from three close literary friendships, those between Pound and Yeats, Yeats and Lady Gregory, and Lady Gregory and Blunt, whose romantic affair thirty years earlier was unknown to the others. Through close readings of unpublished letters, diaries, memoirs, and poems, in an argument at all times theoretically informed, McDiarmid reveals how marriage and adultery, as well as friendship, offer ways of transmitting the professional culture of poetry. Like the women who are absent from the photograph, the poets at its edges (F.S. Flint, Richard Aldington, Sturge Moore, and Victor Plarr) are also brought into the discussion, adding interest by their very marginality. This is literary history told with considerable style and brio, often comically aware of the extraordinary alliances and rivalries of the 'seven male poets' but attuned to significant issues in coterie formation, literary homosociality, and the development of modernist poetics from late-Victorian and Georgian beginnings. Poets and the Peacock Dinner is written with critical sophistication and a wit and lightness that never compromise on the rich texture of event and personality. Named the best non-fiction book of 2005 by Declan Kiberd in the Irish Independent. "Lucy McDiarmid brilliantly identifies five dramas of cultural change in Ireland in the years before independence, narrating them in all their complexity, tragedy, and comedy. Vividly original, written with verve, wit, and meticulous scholarship, The Irish Art of Controversy will be essential reading for anyone who cares about the Irish history, literature, or politics of the last hundred years." "Lucy McDiarmid's studies of Yeats and Lady Gregory have already established her among the most illuminating interpreters of the turbulent Ireland of a century ago. Here she casts further light on the period through her riveting account of five major controversies, ranging from the row over the Hugh Lane bequest to the bitter conflict over the reputation of Roger Casement." This special Irish Studies issue of Textual Practice (Vol. 16, Issue 2, Summer 2002) is the first collection of essays on Irish objects. Its contributors are leading scholars in all areas of Irish Studies. Lisa M. Bitel, "Body of a saint, story of a goddess: origins of the Brigidine tradition"
Siobhán Kilfeather, "Oliver Plunkett's Head"
Margaret Kelleher, "Hunger and history: monuments to the great Irish Famine"
Lucy McDiarmid, "Secular Relics: Casement's Boat, Casement's Dish"
Adrian Frazier, "Harry Clarke and the material culture of modern Ireland"
Hugh Haughton, "'The bright garbage on the incoming wave': rubbish in the poetry of Derek Mahon"
Nina Witoszek, "All that is airy solidifies: the prolonged agony of Romantic Ireland"
This collection reassesses the convergence of low and high cultures, of socialist and aesthete, late Victorian and young Georgian, the popular and the coterie. Academic literary studies have until recently preferred to treat the "opaque," "difficult" writings of high moderns Conrad, Yeats, Woolf, and Eliot, and the more accessible work of the low moderns Kipling, Shaw, and Wells in separate categories. In contributions by scholars David Bromwich, Roy Foster, Edna Longley, Louis Menand, Edward Mendelson, and others, High and Low Moderns brings these writers into critical proximity. Essays on such topics as the public mourning of Queen Victoria, Florence Farr and the "New Woman," the Edwardian Shaw, Lady Gregory's attraction to Irish felons, and the high artistic uses of low entertainments--cinema, detective fiction, and journalism-- introduce a subtler model of modernism, in which "demotic" and "elite" cultural forms criticize, imitate, and address one another. "High and Low Moderns contributes to the growing body of recent scholarship which traces modernism's affiliations to "low" or popular culture (journalism, music-halls, commodity culture) and reveals modernism's deep debts to Victorian ideas, texts, and genres…High and Low Moderns offers persuasive and thorough historical research to make us rethink the literary landscape of the early twentieth century." David Bromwich, "T. S. Eliot and Hart Crane"
Harvey Teres, "Remaking Marxist Criticism: Partisan Review's Eliotic Leftism"
A. Walton LItz, "Florence Farr: A 'Transitional Woman'"
Edna Longley, "'The Business of the Earth'": Edward Thomas and Ecocentrism"
Nicholas Grene, "The Edwardian Shaw, or the Modernist That Never Was"
Louis Menand, "Kipling in the History of Forms"
Edward Mendelson, "How Lawrence Corrected Wells; How Orwell Refuted Lawrence"
Maria DiBattista, "The Lowly Art of Murder: Modernism and the Case of the Free Woman"
Roy Foster, "Love, Politics, and Textual Corruption: Mrs. O'Shea's Parnell"
Lucy McDiarmid, "The Demotic Lady Gregory"
Chris GoGwilt, "Broadcasting News from Nowhere: R. B. Cunninghame Graham and the Geography of Politics in the 1890s"
Named a "significant book of 1995" by Roy Foster in the London Independent. Playwright, folklorist, translator and one of the founders of the Abbey Theatre, Lady Gregory (1852 – 1932) was a major figure in the Irish literary revival. Here for the first time the most influential Irish play of the twentieth century, Kathleen ni Houlihan, is printed under the name of its co-author Lady Gregory. This is also the first (and only) edition of Gregory's work to make accessible in one volume selections from her folklore, autobiography, journals, translations and essays as well as her plays, and to print her little-known love poems. It includes stories about Biddy Early, the healer of County Clare, and the proto-feminist play Grania. "Lucy McDiarmid is the most original and important Auden critic to appear in many years. 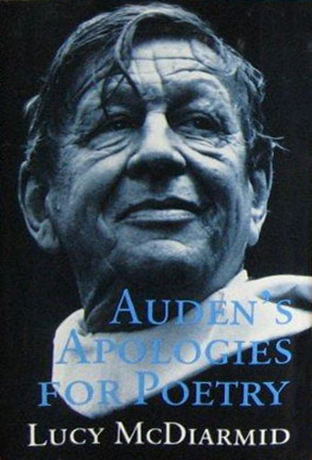 Auden's Apologies for Poetry offers brilliant new readings of the major later works, from New Year Letter though The Sea and the Mirror to 'The Cave of Making.' This book should mark the beginning of a new understanding of those works, and a markedly higher valuing of them; it will compel a fundamental reassessment of the Auden canon." 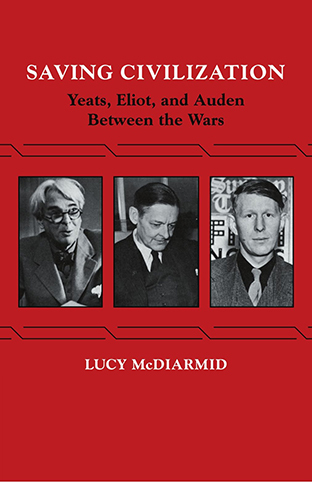 "Dr. McDiarmid's analysis of the three poets is perceptive, she writes with lucidity and wit, and she has an authoritative knowledge of the range of Yeats's, Eliot's, and Auden's work in prose and poetry. This is a book to be recommended for the specificity of its historical understanding, for the sensitivity of its criticism of three major poets, and also for its treatment of the general problem of the poet's engagement with or disengagement from historical actuality."